Listen to AM1470 & FM961 for your chance to WIN a double pass to an advance screening of GREEN BOOK on November 19, 2018 ! 遊戲日期 Game Period: November 8 - 14, 2018. 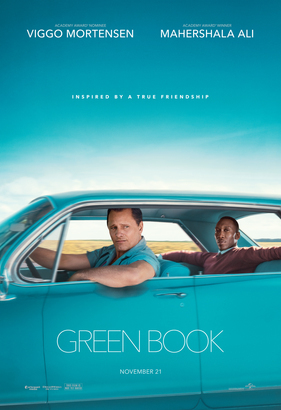 Academy Award® nominee Viggo Mortensen (Eastern Promises, The Lord of the Ringstrilogy) and Academy Award® winner Mahershala Ali (Moonlight, Hidden Figures) star in Participant Media and DreamWorks Pictures’Green Book. In his foray into powerfully dramatic work as a feature director, Peter Farrelly helms the film inspired by a true friendship that transcended race, class and the 1962 Mason-Dixon line.